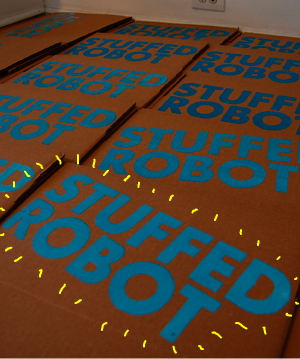 Stuffed Robot is a creative venture founded by Jessie Vogel, Bill Brown, and Patrick Moberg. Can I return a robot after I receive it in the mail? Only if the robot arrives damaged. Please contact us and let us know what the problem is. What are the robots made from? 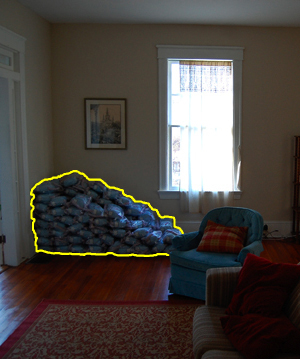 Velboa fabric and Polyfill stuffing. Mellowtron robots were made in Shenzhen, China, and exceed EN-71 or ASTM F963 standards. Are these robots safe for children? 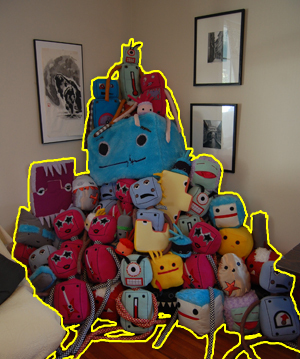 Stuffed Robot products are intended to be treated as works of art. Giving the robots to children is left to your own discretion. Weren't there different robots here in the past? A green one, a pink one, and a blue one? 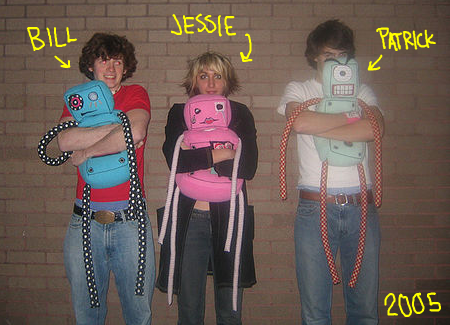 Yes, we started making robots in 2005 and we have sold them on stuffedrobot.com ever since. However, right now we are only selling Mellowtron, the blue one. Can I buy the robots anywhere else? Mellowtron is available exclusively on stuffedrobot.com. You can email us at masterbot@stuffedrobot.com, visit the contact page, or utilize telekinetic powers.